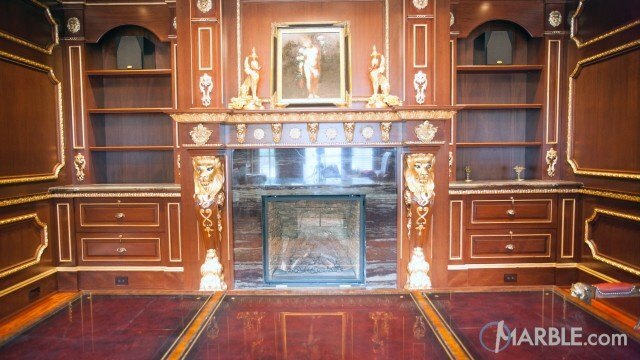 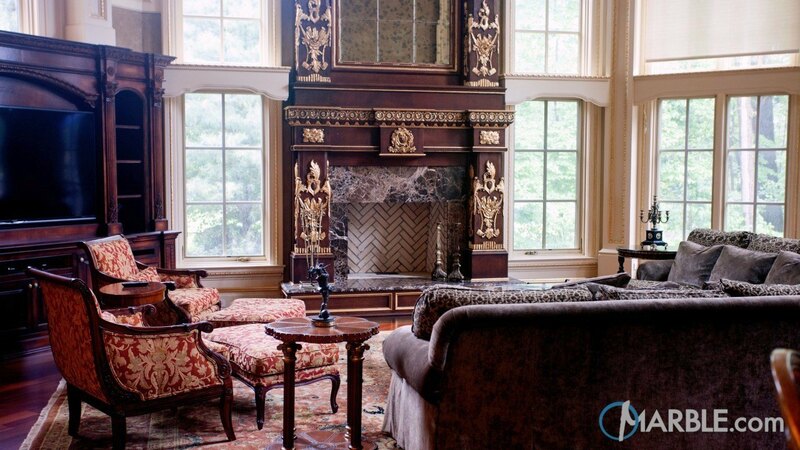 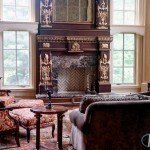 The gorgeous fireplace is the centerpiece of this living room. 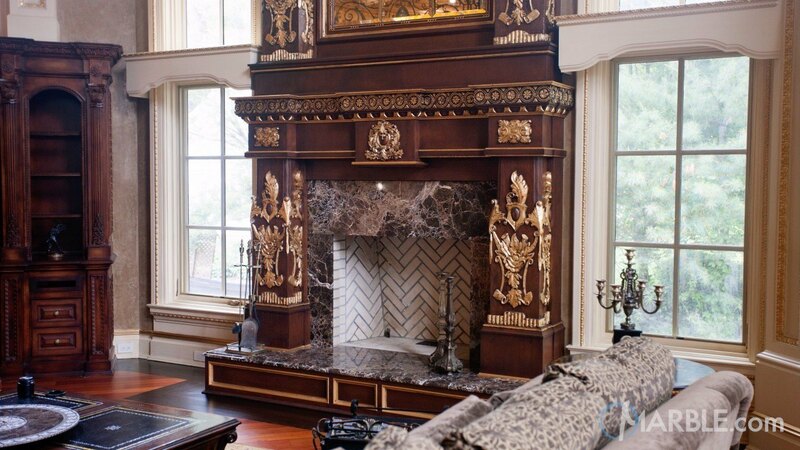 The large windows emphasize the elegance of the dark wood, Emperador Golden Marble and gold embellishments. 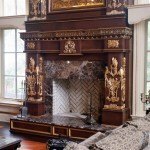 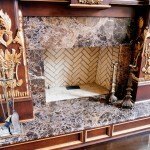 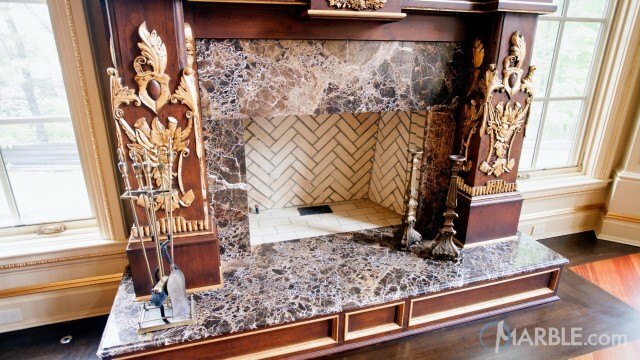 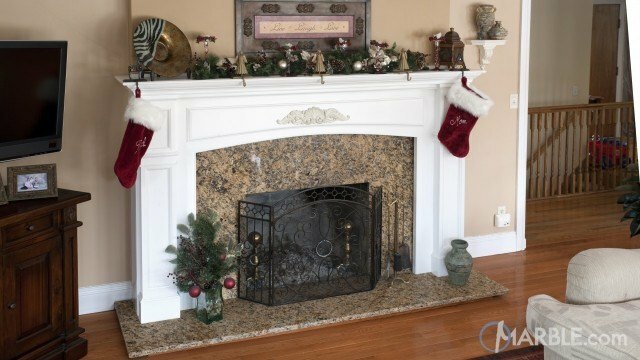 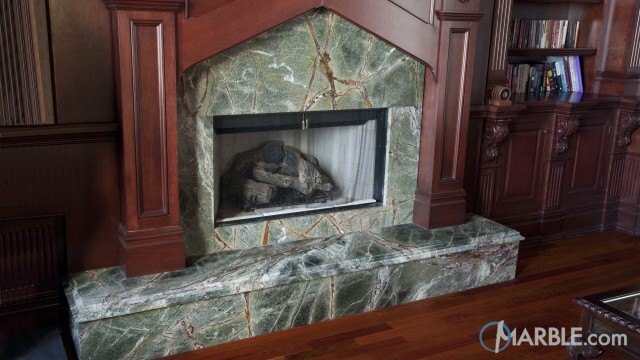 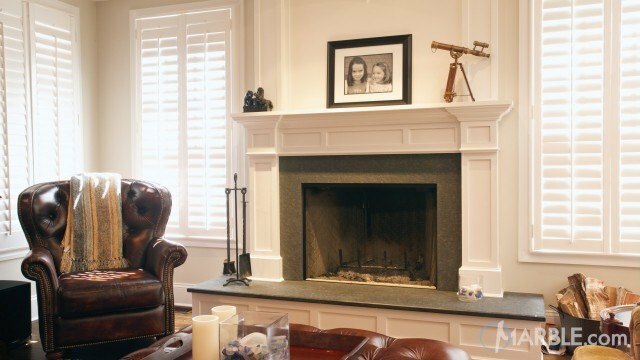 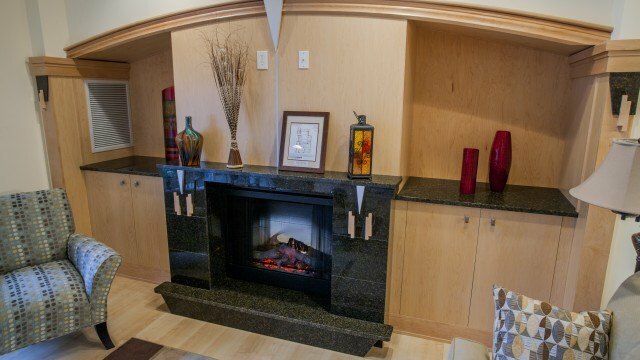 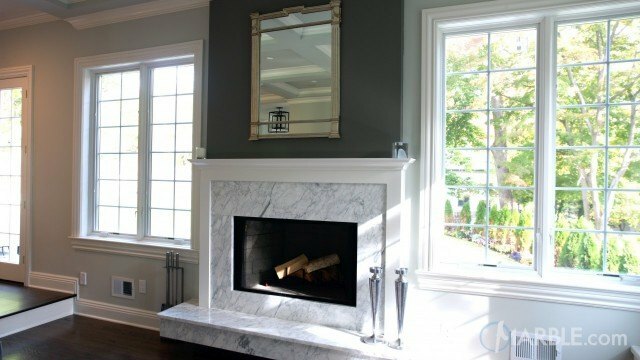 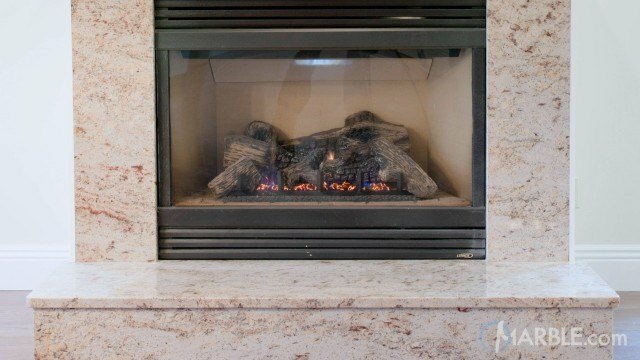 This fireplace makes this room truly memorable. 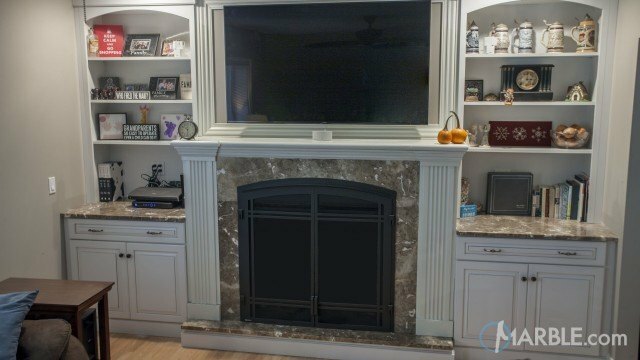 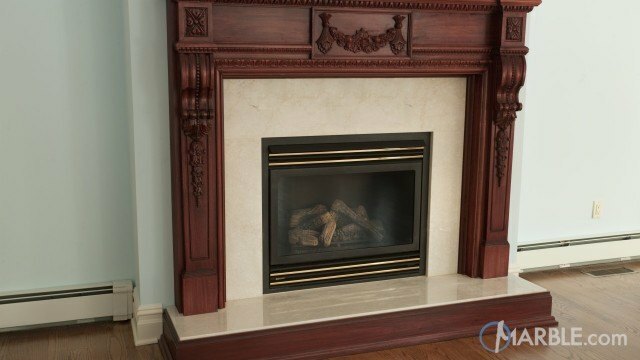 The entertainment center wood complements the fireplace. 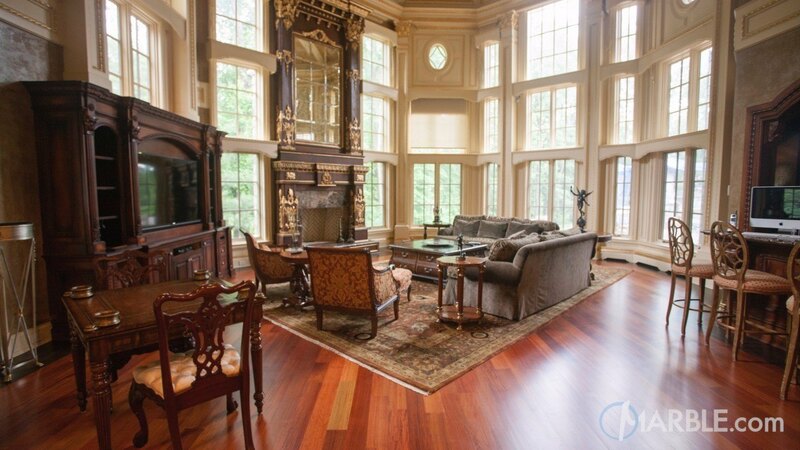 A Persian rug highlights the wood floor and ties everything together.